Ruth Haskett Gurkin, 87, of Greenville and formerly of Plymouth, passed away on Tuesday, December 4, 2018 at Cypress Glen Retirement Center. A celebration of her life will be held Friday, December 7, 2018 at 2:00 pm at Maitland Funeral Home, 306 Latham Avenue, Plymouth. Family will receive friends at the funeral home following the service. Mrs. Gurkin was born in Perquimans County on November 7, 1931 to Clifton and Elizabeth Webb Haskett. She married Herman H. "Jack" Gurkin in 1953 and they made their home on the family farm in the Pleasant Grove community of Washington County. Upon his death in 1986, Mrs. Gurkin moved to Plymouth and lived by the Roanoke River for the next 25 years. 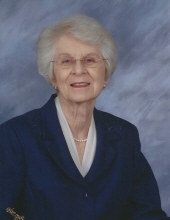 She enjoyed the outdoors, playing bridge, community involvement and was a longtime member of Pleasant Grove United Methodist Church. In addition to her parents and husband, Mrs. Gurkin was preceded in death by a daughter, Carol Sue Gurkin and her two brothers, Ray Haskett and Keith Haskett, both of Hertford. She is survived by her son, Thomas Wynne Gurkin and his wife, Margie of Wilson; daughter, Beth Gurkin Harrell and her husband, Chris of Raleigh; six grandchildre, Jonathan Gurkin, Matthew Gurkin, Andrew Harrell, Cameron Gurkin, Rebecca Harrell and Olivia Gurkin; and a number of nieces and nephews. The family would like to express their heartfelt appreciation for the care and kindness Mrs. Gurkin received during her 7 years at Cypress Glen. Memorial contributions may be made to The Michael J. Fox Foundation for Parkinson's Research, P.O. Box 5014, Hagerstown, MD. 21741 or Cypress Glen Retirement Community, Benevolent Fund, 100 Hickory Street, Greenville, N.C. 27858. "Email Address" would like to share the life celebration of Ruth Haskett Gurkin. Click on the "link" to go to share a favorite memory or leave a condolence message for the family.